DuraTex® is America’s #1 Speaker Cabinet and Road Case Coating that’s easy to apply, beautiful and tough. 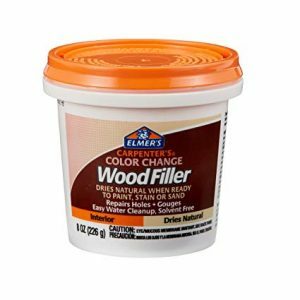 It’s waterbased so application and cleanup is easy and requires NO solvents. 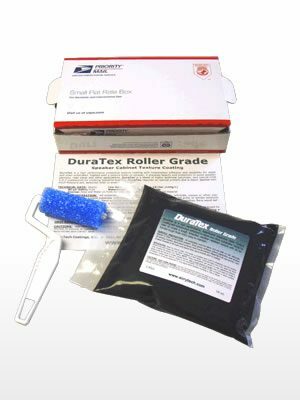 DuraTex® requires no special primers and is easily applied with Hopper Gun or HVLP Pressure pot spray system. 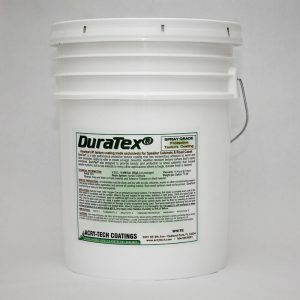 DuraTex® has tremendous adhesion to wood and other substrates. It can be spray applied to create a tough, beautiful, weather resistant and easily maintained texture surface. 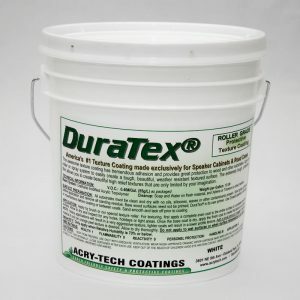 DuraTex® was designed to provide beauty and protection to wood speaker cabinets, road cases and other applications at 100 square feet per gallon. 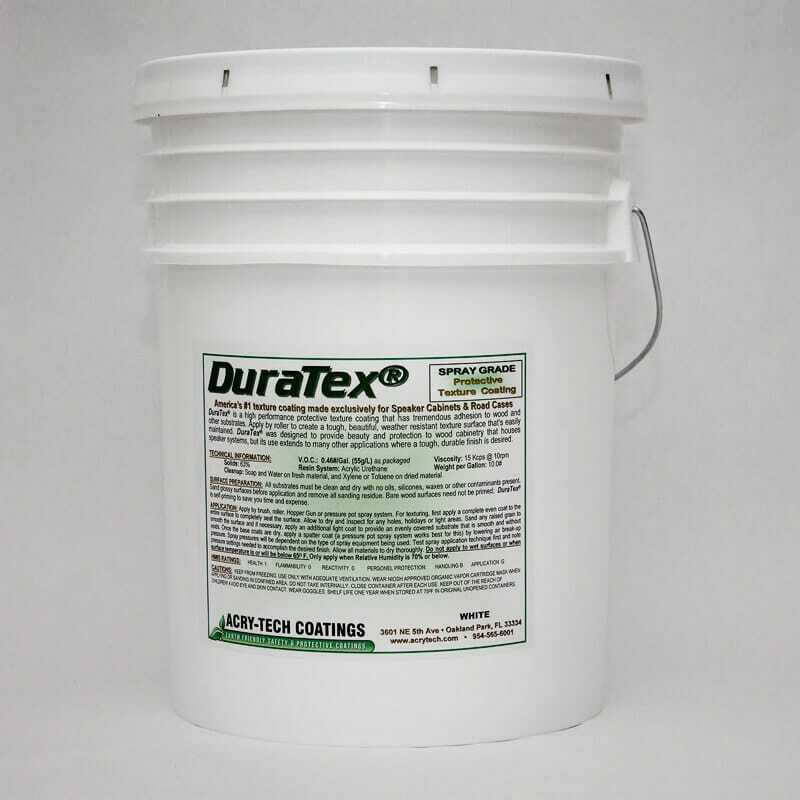 DuraTex® is a blend of highly technical polymers, and special LOW V.O.C coalescents for creating beautiful high relief spatter textures. 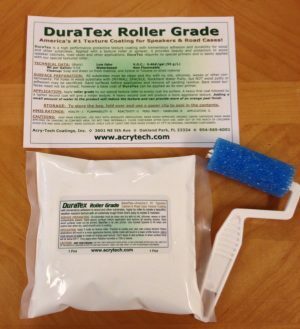 Textures created with DuraTex® include Heavy Orange Peel, Orange Peel, Heavy Spatter, Medium Spatter, Light Spatter.